It seems that the confiscation of deposited funds in Cyprus banks was not an isolated event, but rather a glimpse of what’s to come on a mass scale. A joint paper by the U.S. Federal Deposit Insurance Corporation (FDIC) and the Bank of England dated December 10, 2012, shows that these plans have been long in the making; they originated with the G20 Financial Stability Board in Basel, Switzerland; and that the result will be to deliver clear title to the banks of depositor funds. Now, a person’s savings are no longer considered a “deposit” but instead a “debt” that the bank owes the client. nder the new FDIC/BOE plan, all IOUs will be converted into “bank equity” which means, in the event of another emergency, the bank will get the money and the depositor will get bank stock, effectively putting the responsibility for the risky actions of private banking institutions squarely on the shoulders of the hardworking American public. One may be able to sell the stock to someone else, but with the bank in financial limbo, at what price? Most people keep a deposit account so they can have ready cash to pay the bills. With this new plan, the potential available amount truly becomes uncertain. 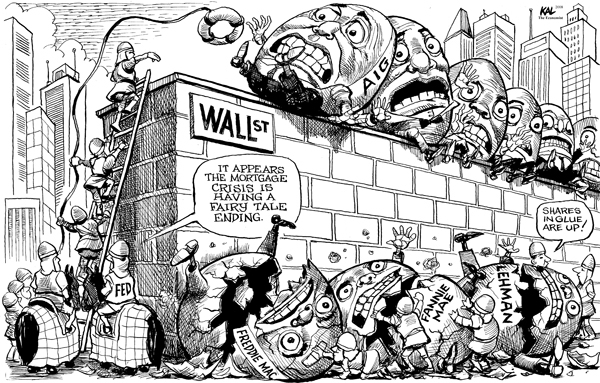 Not many have forgotten the major financial crisis this country faced in 2008. When big banks got in over their heads with irresponsible mortgage lending and losing track of potential risks in general, they turned to the government for a multi-billion dollar bail out at the expense of the taxpayers. The government does not want to be held responsible for the questionable actions of the banking industry yet again. Unfortunately, the financial liability remains with the taxpayers instead of banking institutions with little concern for the consequences of their actions. They’re quasi-illegal actions have already been passively approved by the government’s first bail-out, so these banks have no reason to stop what they are doing, and now this new plan makes the robbery of its client’s money absolutely legal. Congress does not want to be on the hook for another bail-out. With this resolution the FDIC will no longer need to protect the funds that are deposited, it can simply confiscate them. It is important to understand that the confiscation of depositor funds to recapitalize the banks is much different from a simple tax on Americans to pay government expenses. The debt occurred by the government can at least be loosely considered the debt of the American people. The debt that comes from these irresponsible and immoral derivative schemes can not be considered the responsibility of the people; Americans should not be liable for the losses. To do so is theft in every sense of the word. This has been discussed by some as a “wealth tax” but that couldn’t be farther from the truth. Imposing these losses on depositors is a tax solely on the poor since wealthy people don’t usually keep the majority of their money in bank accounts. They tend to keep their money in the stock market, real estate, over-the-counter derivatives, gold and silver and other investments. That does not mean however that investing ones money in gold and silver is a completely safe route. If that gold and silver is in a safe deposit box in a bank, Homeland Security has reportedly told banks in the past that it has the right to seize the contents of these boxes without a warrant when it is a matter of “national security” which a banking crisis will undoubtedly be. That very vague phrase of a “matter of national security” can be implemented for whatever reason the government sees fit, and Americans can only sit back and watch as their hard-earned money goes, once again, to pay down the losses of the infinitely rich as they play at the game of American well-being.